The Noël Memorial Day Event is Going On Now! 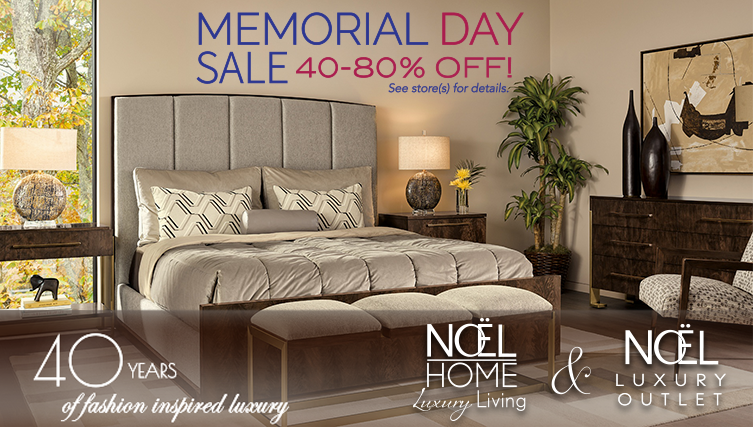 Save 40 -80% on the finest brands in home furnishings during The Noël Memorial Day Event! Featuring America’s best furniture brands such as Marge Carson, Christopher Guy, American Leather, Century, Fine Art Lamps, Hancock & Moore and many more… Huge savings on home furnishings, original art, handmade rugs & home decor. 2 Great Stores – One Great Sale!